Join us for this unique piano sale on the campus of Concordia College on Friday, May 17 through Sunday, May 19, 2019. This sale is an opportunity for you to obtain a fine piano for your home and, at the same time, generate support for the Concordia College Department of Music! A large selection of new, nearly new, and slightly used grands, baby grands, and vertical pianos from Steinway & Sons, and Steinway-designed Boston and Essex pianos will be available for sale at substantial savings. You’ll also find award-winning acoustic and digital pianos from Kawai, plus Roland digital pianos, and player pianos. Representatives from Schmitt Music will be on hand to answer all your questions, and to help you select the perfect piano. Plus, trade-ins will be accepted, and financing and delivery will be available on site. This 3-day piano sale is open to you BY APPOINTMENT ONLY on Friday, May 17 (10AM to 8PM) and Saturday, May 18 (10AM to 5PM), and OPEN TO THE PUBLIC from Noon to 5pm on Sunday, May 19. Please schedule your selection appointment below, or call 888-879-3557 today! Scheduling your appointment early guarantees you the best selection and pricing. If you do not see the appointment calendar (or “schedule now” button) below, please CLICK HERE to make your appointment. 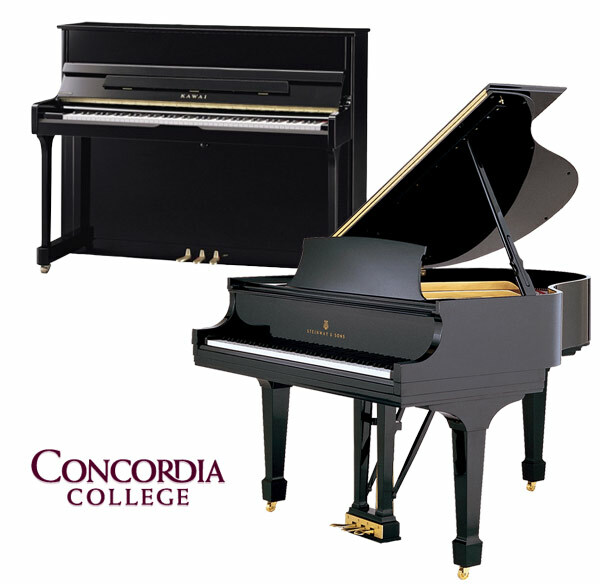 The Concordia College Piano Sale is located at Hvidsten Hall of Music, Christiansen Recital Hall at Concordia College: 901 8th St. S., Moorhead, MN, 56562. Parking is available in the lot south of Hvidsten Hall. Concordia College has developed an exclusive arrangement with Steinway & Sons, through their area representative, Schmitt Music, to help raise funds for Department of Music scholarships and ongoing programmatic needs. 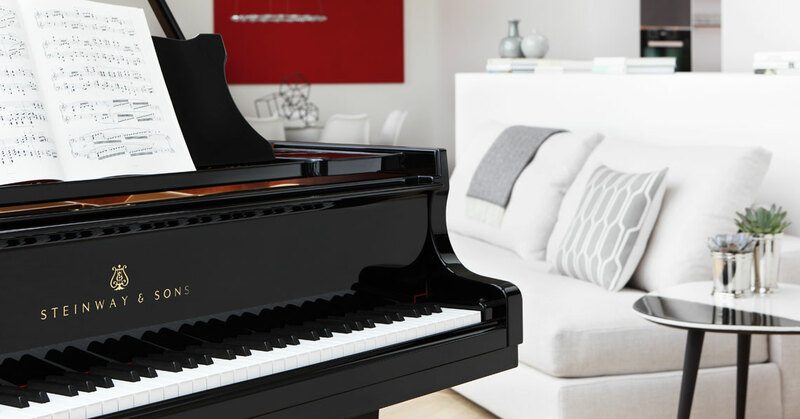 This piano sale is the means by which these important funds will be obtained, as a substantial portion of the net proceeds of the sale will directly benefit the Department of Music. If you have interest in purchasing a fine new piano at substantial savings, please take this opportunity to support the Concordia College Department of Music and enrich your own life! Since 1961, Schmitt Music has been the home of the world’s finest pianos – Steinway & Sons. Our reputation for honesty, value, quality, knowledge, and personal service goes back to 1896. Please contact us for Concordia College Piano Sale event details: call 888-879-3557 or email us at steinway@schmittmusic.com.